Hot RV V641F Pneumatic V-type Regulating Ball Valve - River-Wave is the best RV V641F Pneumatic V-type Regulating Ball Valve supplier in China. 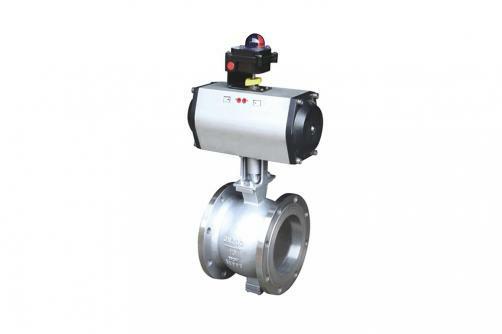 RV V641F Pneumatic V-type Regulating Ball Valve is a 90° angle regulating valve. When valve plug rotates relative to valve seat, it has relatively strong shearing action and is especially used for regulation control of medium with fibers and micro-particles. The product is widely applied to petroleum chemical, electric power ,paper-making and metallurgy industries, etc.